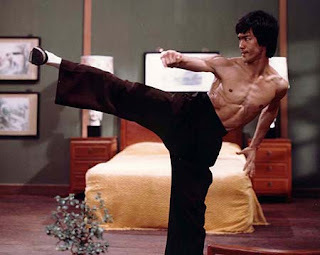 Step-through lunge punches as "stem cell movements"
In my previous article I discussed how the humble "lunge punch" (oi zuki) of karate is largely scorned by combat sports practitioners and other "pragmatic" or "reality-based" martial artists. 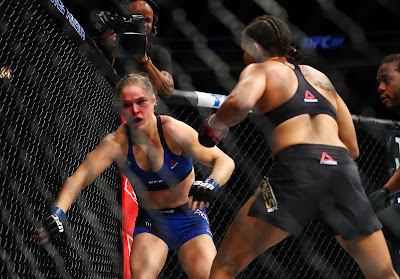 I'm not just talking about a "lunging punch" executed the leading arm: that technique is as ubiquitous as any other common technique. No, here we're talking about the standard karate-style punch as seen in basic kata – you know, where you take a full step (with your legs passing each other) into a forward stance (zenkutsu dachi) then, at the completion of the step, you execute a punch with your leading arm. The classic example of this is to be found in the kata heian shodan. I've had various responses to my previous article, many defending the lunge punch after a step-through. But ultimately I've been unable to come up with a single video example of such a punch being executed (at least, literally) except in basics or kata. I couldn't find it in any resistant context. Neither the cage/ring, nor karate sparring/competition, nor in surveillance footage of civilian defence encounters. I couldn't find it anywhere. That's not to say that I think it is impossible to execute such a technique – it's just rare. It's possibly rarer than I even suspected when I started writing this series of articles. Be honest – how often have you done a "step-through lunge punch in forward stance"? Can you find a video of anyone else doing it? Yet despite my preceding observations, in this article I don't intend to add to the chorus of disapproval of this humble basic technique (which I shall call a "step-through oi zuki" from now on for brevity's sake). Rather I intend to defend it as a training method that, while basic, is very useful and effective in conveying vital motor learning and kinaesthetic awareness. In this context it is valuable precisely because of its status as a "stem cell movement" (see my previous articles on this topic). Before we get into the "stem cell" usefulness of step-through oi zuki, let us see what its "practical" or "realistic" alternatives might be. For example, how might someone go about "improving" a kata like heian shodan to make it "more realistic" by avoiding the step-through oi zuki? Karate has such techniques in abundance and, as you would expect, it is seen in almost every resistant context, from MMA, to karate dojo sparring, to the "street". But this "leading punch from a front foot lunge" concept doesn't really fit with a kata like heian shodan. Now this would feel daft for a very good reason: somewhat dogmatically, you'd only be using one side of the body! This would necessitate time wasting as you "reload" for a punch on the same side. There is a time and place for such things, but this isn't one of them. You have two arms and legs – you might as well use both! Quite simply, this would be a nonsense. 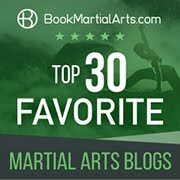 The most obvious other candidate for "improving" heian shodan is the classic reverse punch. 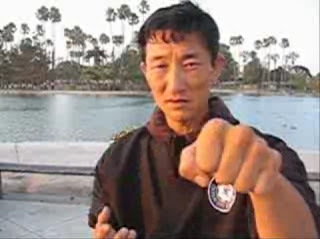 Whether it manifests as a "cross" or the more classical, straight "gyaku zuki" of karate, the reverse punch is undisputed "king" of punching. This is particularly so if you've just executed a block/deflection (downward or otherwise, and when entering or evading your opponent). This is for the simple reason that you want to use your lead hand to block/deflect: it is your "shield" and there is little point in having your shield held back. Rather, you hold your shield up front, thwart the attack, then counter strike. I'd wedge the attack with a gedan uke while reaching in, using a hip rotation away from the attack. Then I'd follow with a reverse punch, powered by a hip rotation into the attack. I don't believe the kata was ever meant to be used this literally. Rather, for the reasons referred to in my first article on "stem cell movements" I believe that kata like heian shodan were meant to communicate a variety of different options - and provide the necessary motor learning to accommodate all of those options. It trains you to throw your hip forwards into the attack. What do I mean? Many karateka are familiar with the notion of throwing their hip into a reverse punch (gyaku zuki) - largely from a stationary posture. But this ignores the dynamic (ie. moving) context in which punches are typically executed (by the way, this is yet another problem with the "double hip" theory that is presently so popular). It also often focuses unduly on the "rotation" of the hips rather than the forward moment which needs to emerge from such hip use (indeed, a circular moment is, of itself, not particularly useful unless you are executing a circular technique). So instead, I suggest that if you are using your hip to add force to your punch, you should think of "snapping the hips forwards" rather than "rotating them sideways". And you should remember to do so in the context of a movement towards your opponent (not from a stationary position). The heian shodan type step offers a unique (yet subtle and totally unheralded) opportunity to practise this. In this respect you'll be using your hips in much the same way as a baseball pitcher throws his or her ball: any circular movement in the hips, torso and arms ceases as you flick the them into a straight line towards your target. If this didn't happen, the pitcher's ball would be thrown off to one side. Very much the same process should happen with any punch: you convert the circular momentum of the hips into a forward moment at the last second. The more forward moment you have, the harder you hit. And the more forward moment you have, the more likely it is for this moment to drag your back foot forward - as inevitably happens with any power punch. Consider the adjacent images of Silva vs. Machida: Silva is so committed to the punch that his back foot visibly drags up almost to the line of the front foot. Indeed, a punch can have so much forward momentum that your back foot overtakes your front foot - leading to... a full step! Yes, he times the blow to land with the "reverse action". But there is no denying that his back foot quickly overtakes the front. He might not be executing a "step-through oi zuki" but he is most definitely "channelling" the principles of heian shodan (amongst other kata). So what if we wanted to develop such forward momentum in an isolated, basic forum? Would we practise our kata just with reverse punches? No, that wouldn't do it; for one thing, it would mean that the stepping component would be utterly divorced from the hip use, heavily restricting our "forward momentum" training (and focusing unduly on stationary hip rotation). Would we allow the back leg to drag up a little or to the "level" point (as per Silva above)? I don't think so. That would be going "half way" to a "double weighted" point of instability and vulnerability - not to mention the zone where "dead time" occurs. No, I think we'd want to move through that zone as fast as possible. "To hell with it - let's train the hips to go all the way through to a full step!" To my mind, this is exactly what kata like heian shodan are trying to develop: a potent ability to project your momentum horizontally directly into (and sometimes away from!) your opponent. In "resistant" application, such training might manifest as nothing more than a more powerful reverse punch: one that is projecting forwards forcefully. Or it might involve a leg change where back foot does in fact come up to pass the front because even more hip is projected forwards (as per the adjacent gif of me performing a movement from heian shodan in a more "advanced" manner). Accordingly, while heian shodan (in its traditional form) might require a punch only at the very end of this "chasing" step, this is just a matter of the "stem cell movement" having to pick the most basic incarnation for its primary form. This is because you don't want beginners to finish their punches well before they've reached their opponent (so that they end up walking into their opponents with what is, in effect, a battering ram). Rather, you want them to wait till the very end of the movement before punching (so as to "drop the bomb" at this point). With a more advanced student, you tell them to time their punch so that it lands with their front foot. 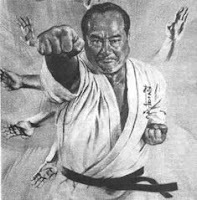 And for yet more advanced students, the punch can be timed to land even earlier (as per Machida's example and the video below of Enoeda sensei). The "stem cell movement" permits all these permutations. Note how Enoeda sensei launches a reverse punch that is extended almost into an "oi zuki" to effect "kuzushi". This is the sort of principle that kata like heian shodan teach at higher levels; the same principle Machida demonstrates in the above animated gif. In my most recent articles I discussed how such "basic exercises" were analogous to "stem cell movements" - ie. movements that teach generalised biomechanical principles pertinent to all levels of experience. And these "stem cell movements" are, in their most "embryonic" state, still capable of morphing into any number of very specialised and sophisticated variants. I hope that in this article I have established that the much maligned "step-through oi zuki" is capable of morphing into a variety of different techniques and is accordingly well worth practising. For example, I've noted previously that we choose to "stay low" evenly while moving in stances for the principle reason that it adds load in training. Having full steps in such stances also adds to this load. And this is of paramount importance to the beginner who needs to develop both explosive strength in his or her legs as well as stability. Indeed, it is clear to me that fighters like Lyoto Machida owe a great deal of their own "unorthodox" MMA fighting ability to such humble kata as heian shodan. Such basic kata do provide a context - it's just that the context is very "formal", "basic", "fundamental", "elemental" or "embryonic". If it were more "realistic" it would just be more specialised. As it is, the context is sufficiently general to translate to any number of different, equally important, martial contexts. Its generality is directly proportional to its transferability - and is its biggest strength. Sanchin is really more a study in stability, structure and grounding/rooting than a moving stance. 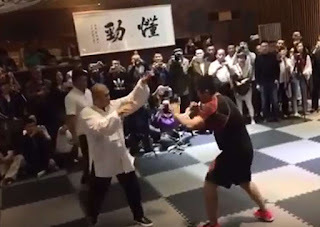 While you might see elements of it in a "short front stance" (where its lessons are most easily applied), it is more a 'zhan zhuang' posture than a snapshot of movement. 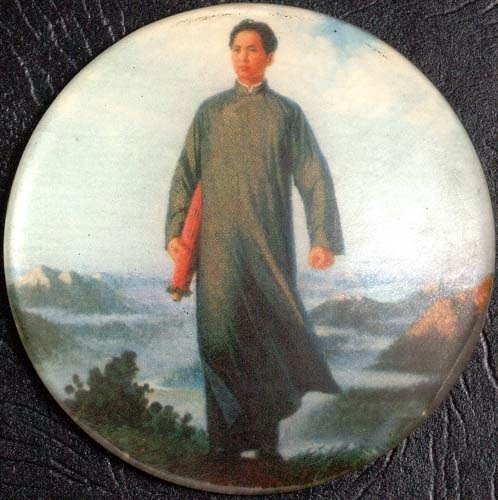 Bear in mind that lessons from sanchin can be taken into practically every other stance/posture. 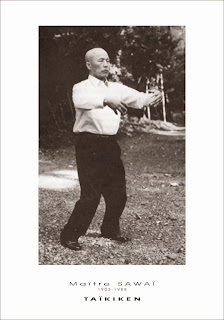 In short, where zenkutsu, neko ashi and kiba/shiko all correspond to "moving" sanchin is more about studying and developing certain postural and structural integrity and awareness. This has been an outstanding series. In your conclusion, where you mention being asked why we don't study these things "in a more realistic context", I'm struck by a classic problem in nearly ALL teaching. People with little or no knowledge see an advanced practitioner and think "I want to learn to do THAT". They don't realize - because they do not see - all of the training in "basics" that the advanced student had to go through to get to this point. This is as true in university teaching as in martial arts. But we face the same "demand" from our students all the time. Those who learn how training really works, stick around. Those who don't often leave. Indeed William - well said! Mastery of anything requires hours upon hours of often seemingly abstract tedium. People don't imagine they can avoid this with a musical instrument, so why they hope to avoid it in martial arts is beyond me! Thanks for your insights and support! Thank you for this series of essays. As with all your work, they have been thought provoking, well argued and insightful. I imagine that I'll be re-reading them for some time to come as I continue my own practise of karate. My pleasure and thank you Mike! Great series as always. There was a time when I used to talk a lot about various "applications" we'd take from kata. Today I'm more about various "lessons". I believe this expression is more adequate once it's open to learning more than mere concrete usage examples of techniques (sometimes it's not even the very concrete technique that is there, but something even more important, as you showed). I love to see that your articles have lead to that understanding (which is no wonder once I'm a loyal reader of your writings). Your defense of the lunging punch was excellent. I've spent a lot of time on Heian Shodan (and definetely not satisfied yet) and even had some opinions in favour of that movement (but more in regards to oyo bunkai), but you added a particularly great lesson to my understanding of that movement, now. I have a minor and not substantial deviation from one point of this series of articles, but it absolutely doesn't invalidate any of your reasoning. I have to read all the comments in the articles first -- I'd not be surprised if someone had already brought up the question. When ready, I promise to bring up my thoughts through here or through TFA forum. Thanks again for the great contribution to my learnings, Dan-sensei! You're welcome Samir-san. I look forward to hearing your thoughts! Once again another great article. 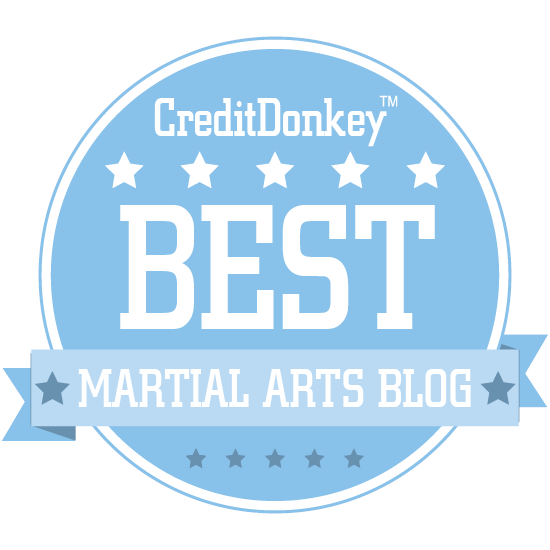 I am in complete agreement that the katas are designed to teach concepts and "how" to move your body. Yes, they do teach applications, but that is secondary to whole body usage. It's one reason why you see so many odd applications and then hear people say that kata has hidden movements in the sequences and that the "real" sequences are out of order to justify the movements. I don't think so. 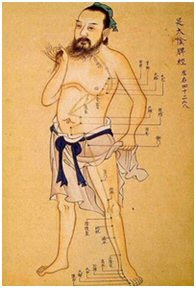 If you look at the chinese systems, they understand that some movements are for health, some are for concepts and some are for applications. Not sure why this message didn't get passed on with karate.